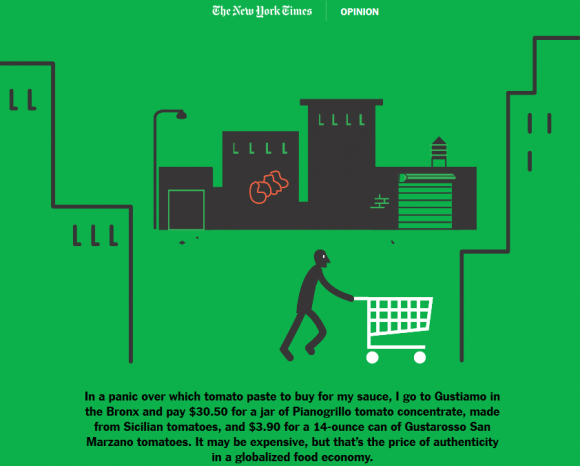 The San Marzano Tomato is the star of Nicholas Blechman’s most recent infographic article in the New York Times. Finally, the truth is out, as publicly as possible. It is what we’ve been saying for years! What we’ve been SHOUTING for years!! Most of the “San Marzano” Tomatoes you find in USA grocery stores are shams. They aren’t real. They are actually considered ILLEGAL, according to Italian and EU law. As Blechman writes, “In the United States, there is no D.O.P. consorzio to protect against misleading labels. 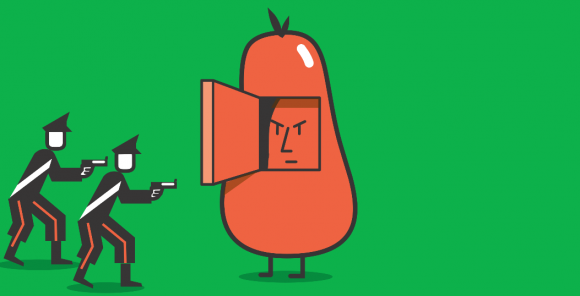 It is up to the consumer to know the difference.” Yes, that means you, reader. Couldn’t have said it better ourselves! Grazie Nicholas. Previous Post Just in from Italia!